MWSnap can make captures from your desktop or screen and save them as images. You can capture the full desktop, rectangular areas, windows of different applications and custom areas. 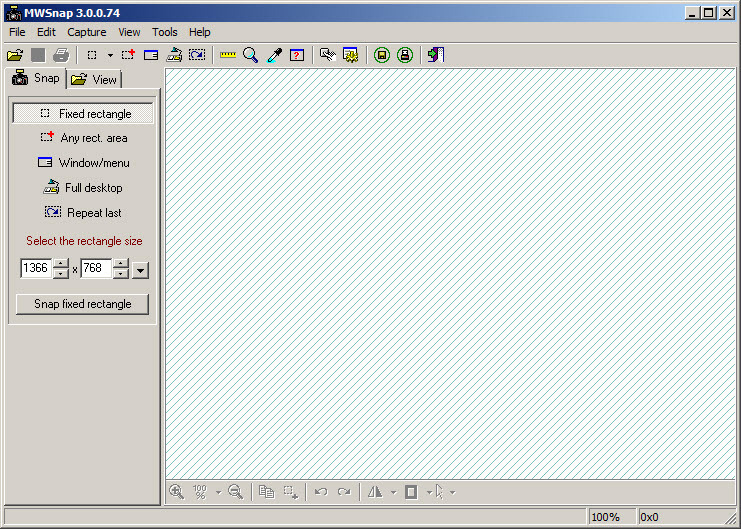 Also, you can define a custom area (width and height) and the program will know to grab only that size from the screen. You can repeat the last capture and flip or rotate the image. 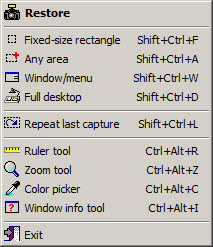 It allows to insert different types of cursors, includes a ruler and a color picker. There are available customizable hotkeys to perform all important actions with the keyboard. The images can be saved in various formats such as jpg, png, gif. MWSnap is available as free download for Windows 32-bit and 64-bit.